About halfway through Playing for Keeps, I noticed that I hadn’t laughed yet but so far had found it pretty watchable. Having Uma Thurman parade around in her frillies certainly doesn’t hurt, and added to that are the ever-delightful wiles of Judy Greer, Catherine Zeta-Jones, and Jessica Biel. 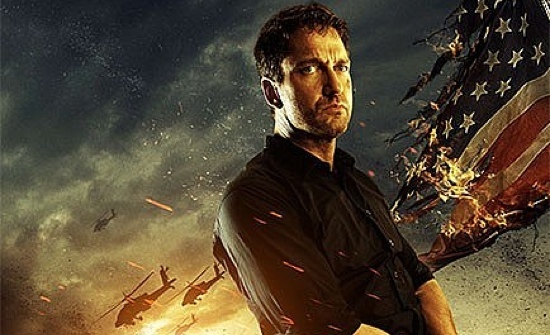 The movie treats them as basically eye-candy (as well as Gerard Butler), so why can’t I? 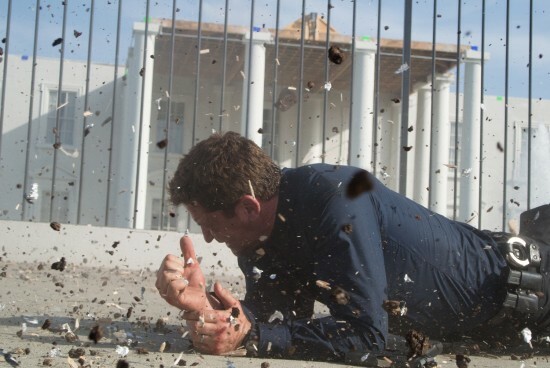 Butler plays George, a former soccer superstar recently relocated to Virginia to reclaim his wife Stacie (Biel) and, on the side, reconnect with his son. He spends his mornings filming demo tapes for a shot as an ESPN sportscaster; his afternoons watching his son’s little-league soccer practices; and, later, his nights bedding the many soccer moms. One day he decides to take over for the apathetic little-league coach, earning the respect of Stacie and the adoration of his son and the previously mentioned soccer moms. He also makes the acquaintance of Carl (Dennis Quaid), a successful businessman and husband of the lovestruck Patti (Thurman) who has an eerie and obnoxious habit of back-slapping like a yokel who’s just told a joke. Anyway, Carl bribes George to put his son in the goalie spot and get his daughter to screech the national anthem before each game. No, this movie isn’t a sequel or prequel to Hobo with a Shotgun, although I can see how you may make that mistake. 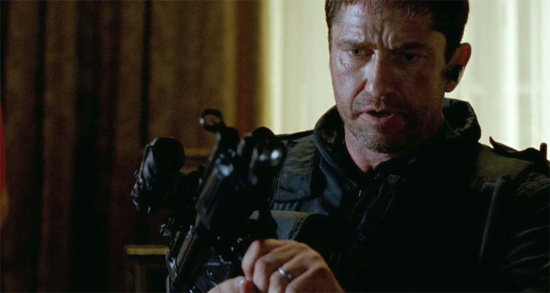 Instead, we’ve got Gerard Butler wielding the weapons and taking care of business in this Marc Forster-directed action/drama film with a heart. Coming soon from Relativity Media, the film is based on the true story of Sam Childers, a tough guy who’s seen and done too much. After some particularly brutal misadventures his life takes a big turn when he finds purpose in establishing a haven for Sudanese children. We’ve got the trailer for the film for you today and in it we can see what we need to see to know this movie could go one of two ways. Those two ways depend pretty much on if we believe Butler can pull off another tough but inevatible self-sacrificing role. We’re betting he can, but you be the judge. Watch the trailer after the jump. In addition to Butler, Machine Gun Preacher also stars Michelle Monaghan and Michael Shannon. It’s set to be released on September 23. As usual, the Hollywood brain trust has decided that instead of looking forward and creating some original work, they will instead look to the past for inspiration and take yet another great film and add it to the remake/reboot pile. The film in question this time, John Carpenter’s Escape from New York. Granted, Escape isn’t exactly a classic in the strictest sense of the word, but it is considered by many, myself included, to be one of the best action/sci-fi movies of the last thirty years. So, much like Predators and so many others of late, I’m not exactly thrilled it will be receiving the reboot treatment. That said, there is one potential bright spot here now that we know Breck Eisner will be handling the directing duties on the film. His recent work on The Crazies showed he’s got a lot of skills and my hope is that he’ll be able to do something really interesting and innovative with the Escape story. In case you’re not familiar with the original 1981 film (which if you’re not, get familiar) it was set in a futuristic 1997 where a walled-off Manhattan island had been turned into a maximum-security prison. Air Force One, with the President on board, crashes on the island and newly captured super criminal and ex-war hero Snake Plissken (Kurt Russell) is coerced into a rescue mission. The new film will reportedly try to mix in an origin story for Snake with the story of the original film. The trio also made some great picks as they always do including Elisabeth’s pick of the Gerard Butler film Beowulf & Grendel, Matt’s pick of AMC’s series Breaking Bad and Chris’ pick of the original Clash of the Titans featuring Laurence Olivier and Harry Hamlin.